Recipe created by Jenny Shea Rawn, MS, MPH, RD. 1. Preheat grill to medium high heat. Clean and oil grates. 2. Add pineapple, broccoli and sea scallops to skewers, alternating. 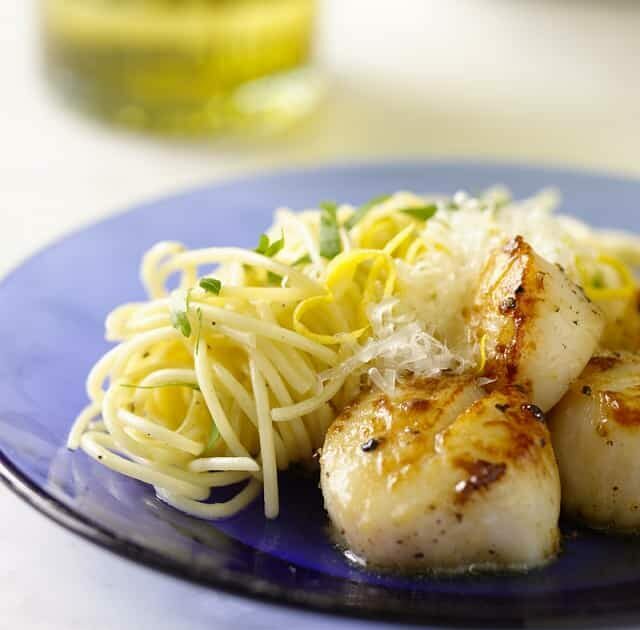 If you have more broccoli and pineapple than scallops, make a skewer or two without scallops. 3. Make the marinade by combining rice vinegar, soy sauce, 2 tsp. 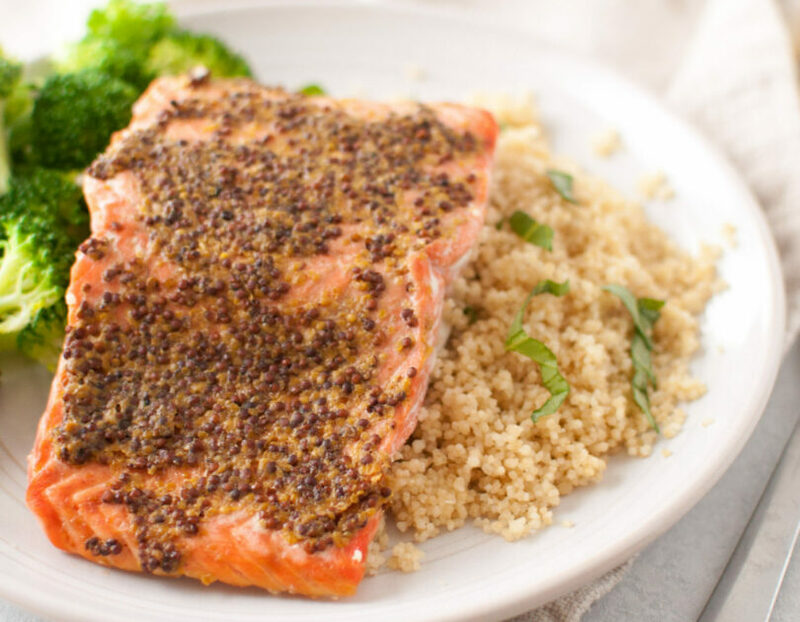 honey, toasted sesame oil, ginger, and garlic powder in a bowl and mixing well. 4. Set aside ¼ of the marinade in a separate bowl (you’ll use this for the peanut sauce). Brush marinade on both sides of scallop skewers. 5. In a small bowl, heat peanut butter and honey for 15 seconds in the microwave. Stir to combine, then stir in the reserved unused marinade. Mix well. 6. Place skewers on grill. Discard any remaining marinade. 7. Flip skewers after 2-3 minutes and grill until scallops turn white or opaque and are slightly firm to the touch, about 6-8 minutes total. Remove from grill. 8. Serve skewers with peanut dipping sauce, lime wedges and brown rice. 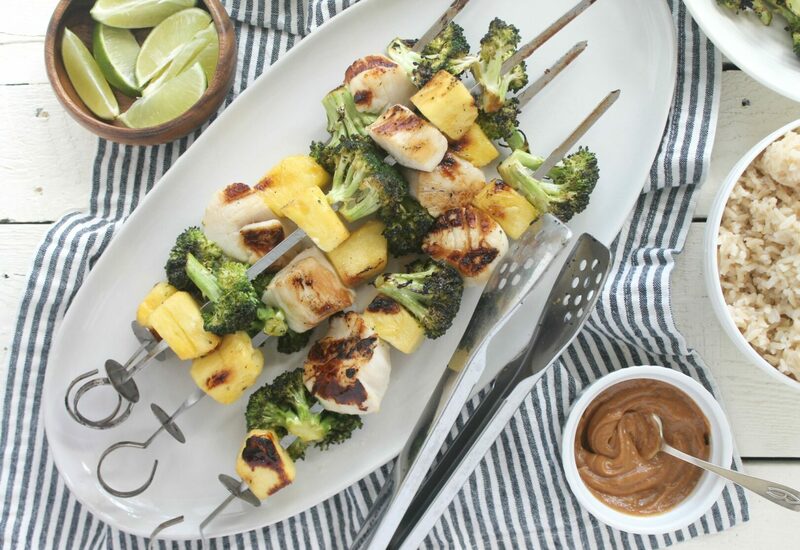 This Sweet and Sour Scallop Kabobs recipe from Jenny Shea Rawn, MS, MPH, RD features succulent sea scallops, crisp broccoli florets and sweet pineapple chunks brushed in a quick soy ginger marinade, grilled to perfection and served with a soy ginger peanut sauce. 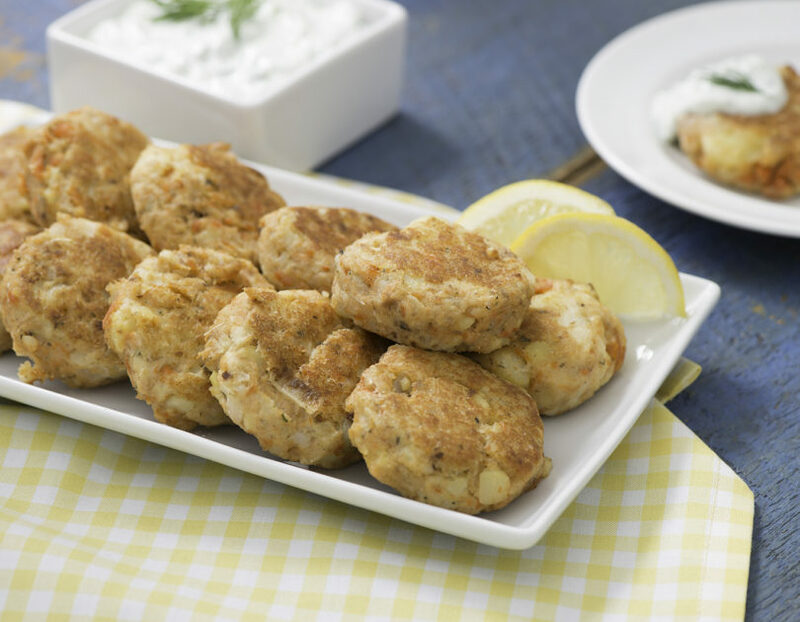 This is an easy, kid-friendly and over-the-top delicious meal idea perfect for busy back-to-school nights. 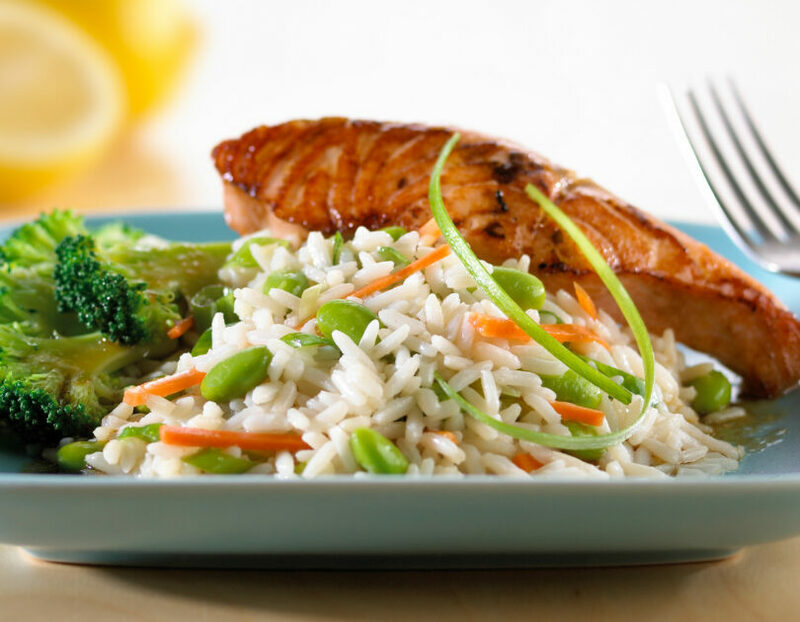 Recipe note: if you’d like to use fish instead of scallops, try chunks of salmon steaks or fillets. Swordfish is also great for those without young children or pregnant/nursing mothers in the house.